Your source for hard to find Troy-Bilt/Garden Way chipper/shredder and tiller parts as well as older Gravely tractor parts. We also stock many Craftsman/AYP parts. We only have a fraction of our available parts listed. So, for any parts in our product lines not listed, feel free to email us at chalmersindustries@gmail.com. Product lines: Briggs & Stratton, Oregon Forestry, Oregon Outdoor Equipment Parts, A&I Products, Sunbelt, Poulan, Weed Eater, Craftsman, AYP, Husqvarna, MTD, Murray, Wico, Tillotson, Troy-Bilt, Walbro and Zama. 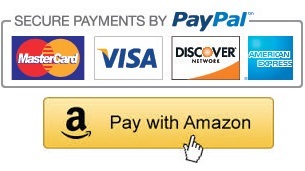 We accept most major credit cards, PayPal, Amazon Payments, checks and money orders.